From two of the medieval Icelandic sagas − the Saga of the Greenlanders and the Saga of Eirik the Red − we learn about Leif Eiriksson and his crew who landed on new shores to the southwest of Greenland around the year 1000. Today we know they were the first Europeans to set foot on the American continent, and their encounter with the Natives completed the encircling of the globe by mankind. Vinland is stimulating the imagination of scholars and laymen on both sides of the Atlantic alike who do not tire to try and identify the paradise-like places from the Vinland sagas, based on ever new argumention and re-interpretation of the original texts. This did not change when the remains of a Norse settlement was discovered at L'Anse aux Meadows on the tip of the Great Northern Peninsula of Newfoundland in the 1960s. The find rather fuelled the discussions as one thing appears to be certain: L'Anse aux Meadows doesn't give the full picture. 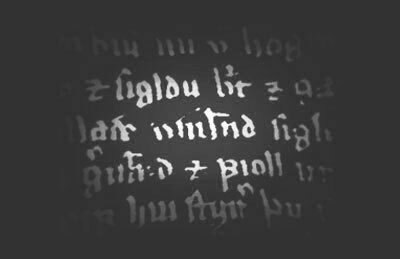 And so, to the present day ever new articles and books are being published on the subject; Vinland conferences are being held; Vinland blogs and websites are being created, maintained, visited and passionately commented. Recently, the news that another Norse site in southwest Newfoundland might have been found with the aid of satellite imagery has obtained wide media coverage. 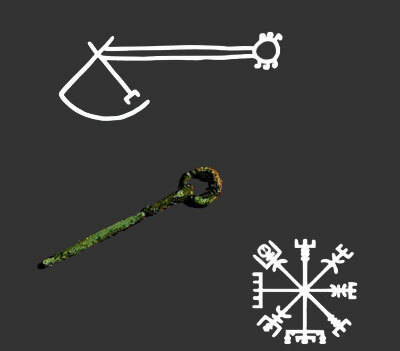 Vinland appears to be an identity-giving utopia with the particularity of having an anchor in reality. Based on critical comparative analysis of sources of varying scholarly character and extensive field studies, and as a follow-up of the 3-channel video work fyrir hafvillu fram (Norway / Newfoundland 2012) about the Norse trans-atlantic voyages, this project gathers representations, ideas and imaginations of Vinland in Newfoundland as the only place in the New World where evidence for a Norse presence from the Vinland era has been found. Interview, archival and photo footage collected on site has been processed and assembled to create four different work series. Together, they aim to convey the nature of The Vinland Phenomenon which is rooted in both facts and fiction. The project has been kindly supported by the German Foundation for Canadian Studies, the Tilting Recreation and Cultural Society on Fogo Island and Kulturhuset USF, Bergen.